Possibility to spend the night at Santiago de Chile airport (SCL), if open 24 hours. Services available, places to rest (free resting zones), or look for the list of nearby hotels and vip lounges..
Terminals are open 24 hours a day, therefore passengers stranded because of a cancelled flight or that have a connection or departure early in the morning can choose to stay at the airport and in that way avoid extra expenses in hotels and transfers. Where to rest: The boarding areas (both in the National Terminal and in the International Terminal) are probably the best for resting. As many of the available benches have armrests, and if you find all comfortable seats occupied, you will have to resort to the floor as an option. It is always recommended to have an eye mask and earplugs, as there is usually maintenance work being done. If you have to lay on the floor, it is good to have a blanket or a sleeping bag, since it can be pretty cold. 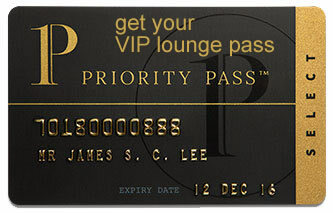 Passengers with a pass for the VIP lounges can enjoy more comfort. Some of them are even open 24 hours a day. SEE VIP LOUNGES Those with a bigger budget have the alternative of staying at a hotel, inside or in the vicinity of the airport. Some of the accommodation options are detailed below. Baggage: There are secure wrapping services around the clock on levels 3 and 4. There are also 24-hour luggage storage offices on the first level. Eating and drinking: The terminals have bars, coffee shops, fast food outlets and restaurants that remain open throughout the night. Wi-Fi: Free and unlimited connection (you will have to reconnect every 30 minutes). Other services available around the clock: ATMs, currency exchange bureaus, chapel, commercial stores, medical clinic. Opposite the airport entrance is located the Holiday Inn Santiago - Airport Terminal (Tel +56 2 2799 9900). Some alternatives nearby include: Hotel Diego de Almagro Aeropuerto (Tel +56 2 2230 5600), Hilton Garden Inn Santiago Airport (Tel +56 2 2964 1000), Hotel Manquehue Aeropuerto (Tel +56 2 2817 0000), City Express Santiago Aeropuerto (Tel +56 2 2589 7900), LQ Hotel by La Quinta Santiago Aeropuerto (Tel +56 2 3275 8888), Hostal Sol y Luna (Tel +56 9 5016 4369), Premium Tours & Lodging (Tel +56 2 2727 3047), Fiesta Inn Motel (Tel +56 2 2772 9771), RQ Hotel Dacarlo (Tel +56 2 2422 0088). Some of them operate courtesy shuttles for the transport of their guests.